Mark Your Calendars! April 18 is Whole Foods 5% Day Benefiting Farmer Foodshare! On Thursday, April 18, 5% of net sales at the six Triangle-area Whole Foods stores listed below will be donated to Farmer Foodshare. 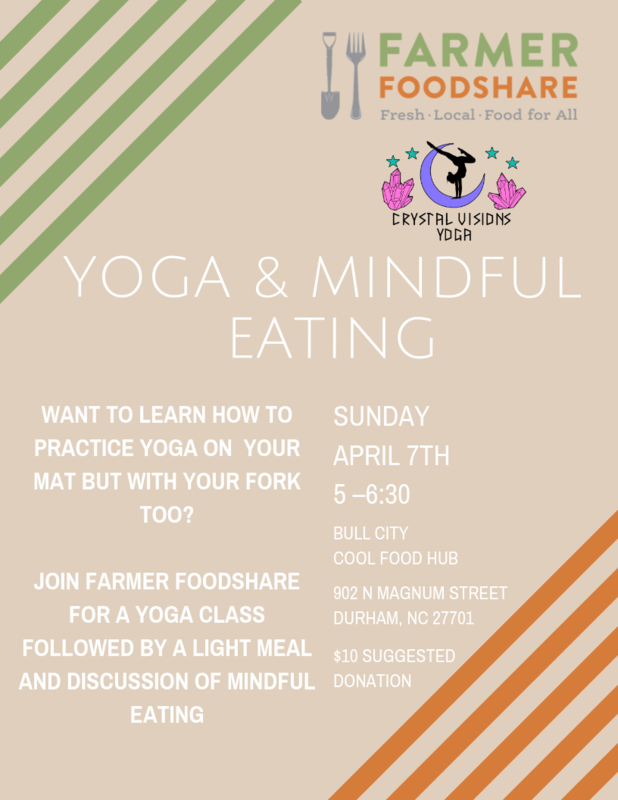 Farmer Foodshare is reshaping the local food system by increasing access to healthy, nutritious food and creating opportunities for North Carolina family farmers. Remember, when you buy food for your table on April 18, you're also helping your community eat well too. Please share widely — and please stop by any of these locations on April 18. We'll see you there!